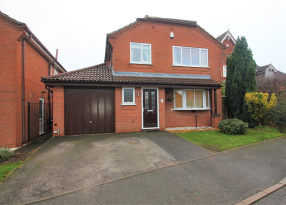 *LOOK* This well-presented three-bedroomed semi-detached home located within walking distance of the popular market town of Melbourne is situated. Also benefiting from a lawned area to the front, a southerly facing rear garden whilst also boasting four receptions rooms. Take a look inside you will see: an entrance hall, sitting room, study, lounge, breakfast kitchen, downstairs shower room and a dining room. Upstairs there are three bedrooms and a family bathroom. To the front of the property there is parking for up to four cars on the tarmac driveway. 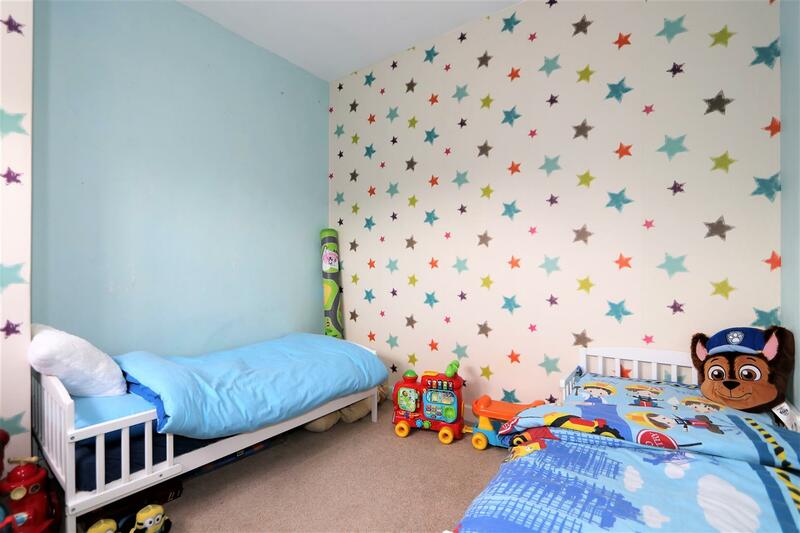 This property must be viewed to truly appreciate the accommodation on offer! MELBOURNE (the name means 'mill on the brook' or 'a mill stream') is a small attractive Georgian market town in a delightful part of South Derbyshire set in rolling countryside and is situated midway between the major city of Derby in the north and the bustling town of Ashby-de-la-Zouch in the south. The town contains a wide range of shops, pubs and restaurants and there are several good schools in the area. The property has good access to the A50, the M1 and M42 motorways, making it within easy reach of many Midland towns and cities. With access via a half opaque glazed UPVC panel front door. 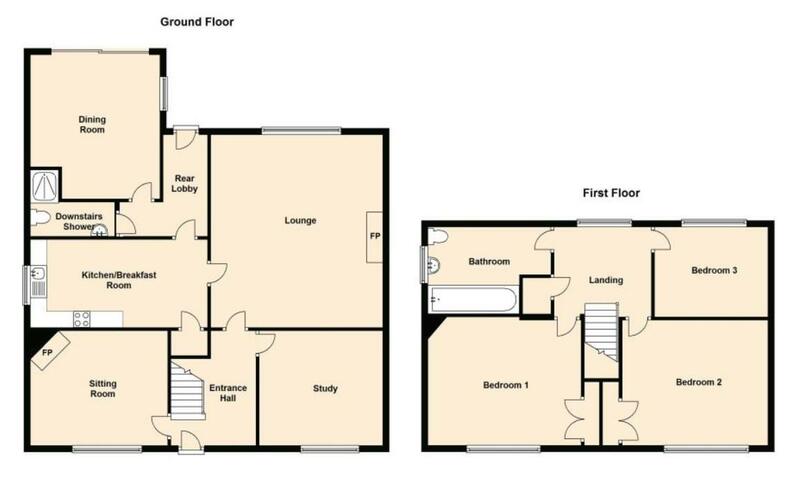 There is a central heating radiator, smoke alarm, staircase rising to the first floor accommodation and doors leading through into the sitting room, study and lounge. 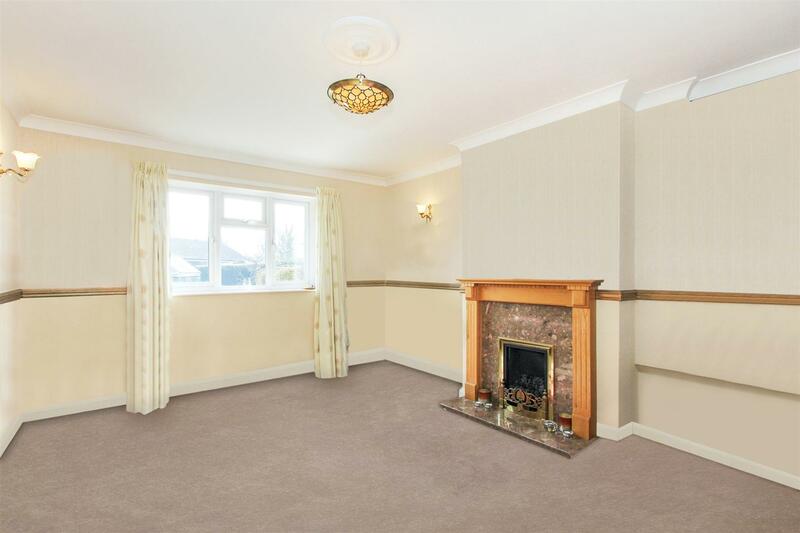 The focal point of the room being an open-fire with tiled surround, inlay and hearth, central heating radiator, TV aerial point and a UPVC double glazed window to the front elevation. With central heating radiator, telephone point and a UPVC double glazed window to the front elevation. Featuring a coal-effect gas fire with marble inlay and hearth and wooden surround. A TV aerial point, coved ceiling, central heating radiator and a UPVC double glazed window to the rear elevation. Featuring a range of wall and base level units, laminate roll-top worksurfaces, stainless steel sink drainer unit with taps and tiled splashbacks. There is an integrated slim-line dishwasher, space and plumbing for a washing machine, space for a free-standing fridge freezer and double oven and grill with four-ring gas burner hob over. Also with under stairs storage cupboard, built-in pantry cupboard, wood-effect vinyl flooring, central heating radiator and a UPVC double glazed window to the side elevation. Door leads through into the rear entrance porch which has a half glazed solid wood door leading out into the rear garden, archway has doors leading into the down stairs shower room and dining room. A shower room suite comprising: a single flush toilet, pedestal wash hand basin with chrome hot and cold taps and tiled splashbacks and a shower cubicle with electric shower and bi-fold glazed doors. 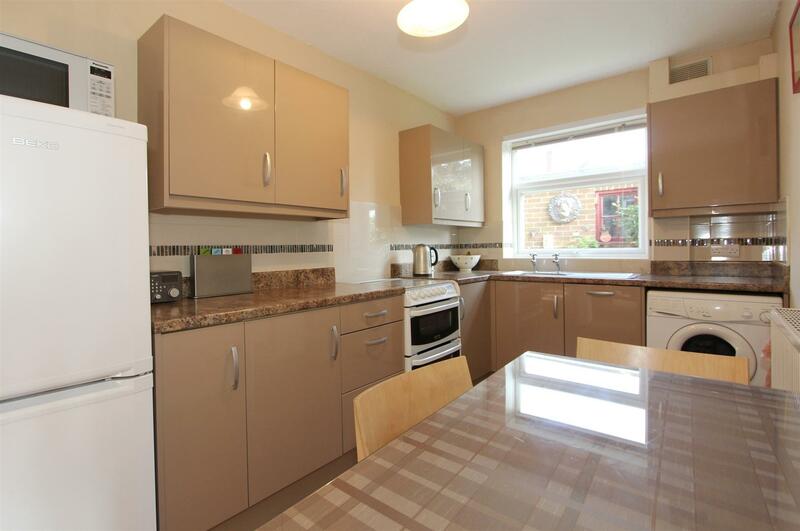 There is tiled flooring, a central heating radiator and an opaque UPVC double glazed window to the side. With loft hatch giving access into the roof void with pull down loft ladder, UPVC double glazed window to the rear, airing cupboard with shelving and doors leading into all three bedrooms and bathroom. 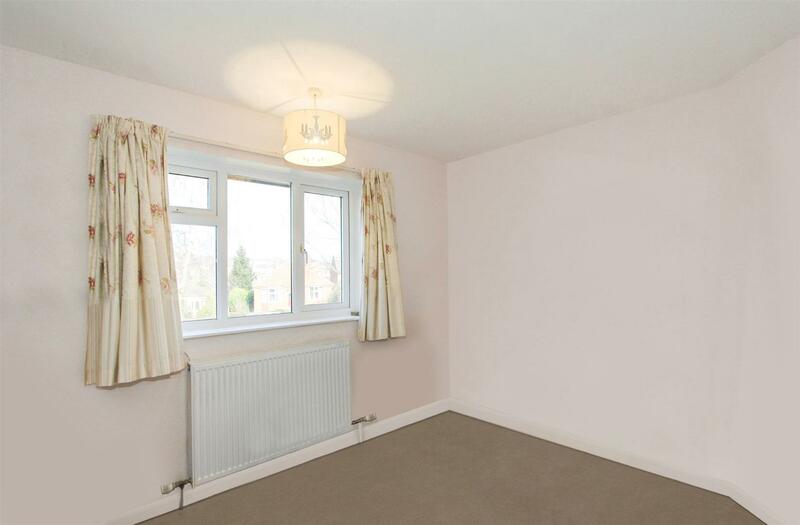 A good-sized double bedroom featuring a built-in double wardrobe, TV aerial point, central heating radiator and a UPVC double glazed window to the front. 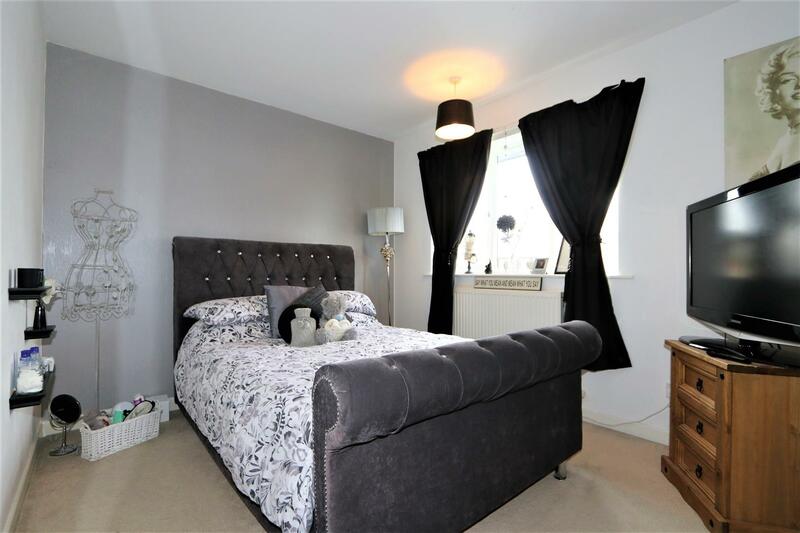 Another good-sized double bedroom featuring a built-in double wardrobe, central heating radiator and a UPVC double glazed window to the front. With central heating radiator and a glazed window to the rear. 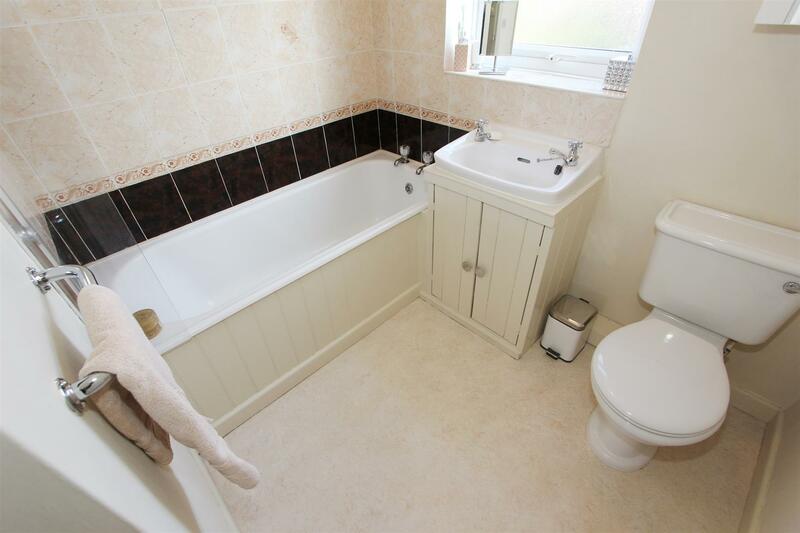 Comprising: a single flush toilet, vanity wash hand basin with cupboards below, wooden panelled bath with hot and cold taps, electric shower over and a glazed side screen. 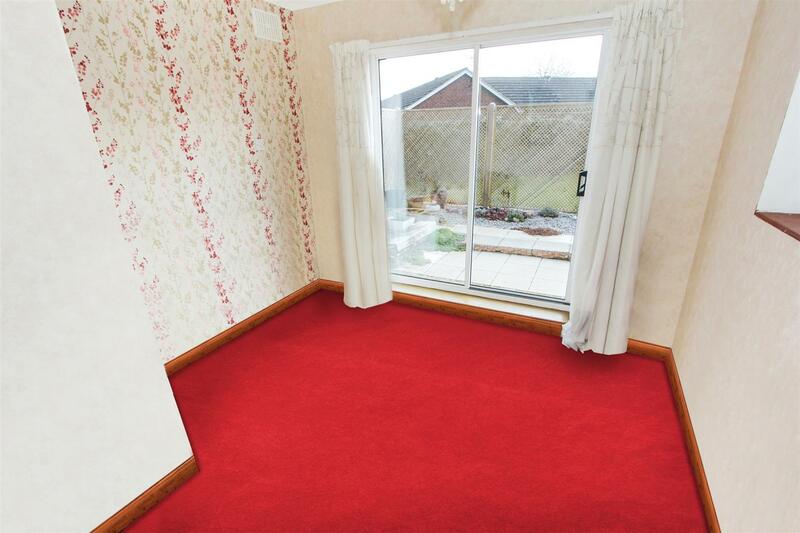 There are part tiled walls and vinyl flooring, central heating radiator and an opaque UPVC double glazed window to the side. 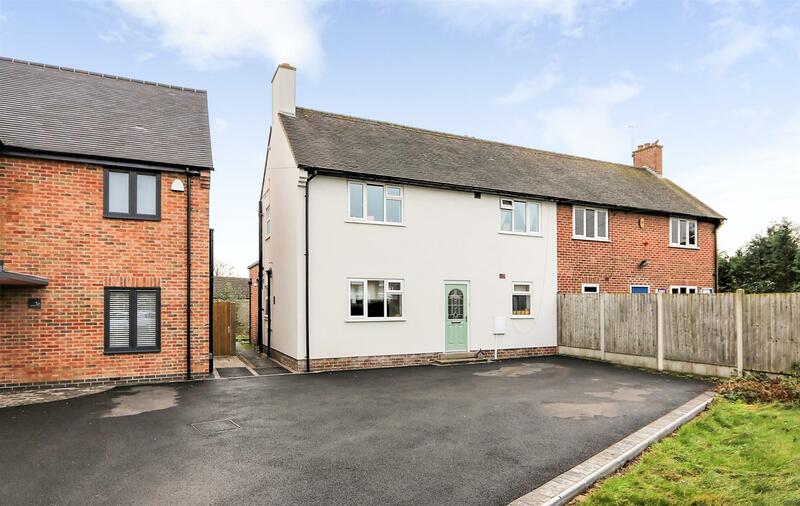 The property sits on a good-sized plot and features a lawned area to the front. 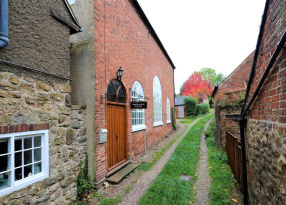 There are hedgerows to the boundaries and a tarmac driveway providing off street parking for up to four cars. This private southerly facing rear garden features a paved patio area and pebbled beds. The rest of the garden is laid to lawn with a vegetable patch, fruit trees and hard standing for a green house. There are hedgerows to the boundaries and access back round to the front of the property. SERVICES: All mains are connected. 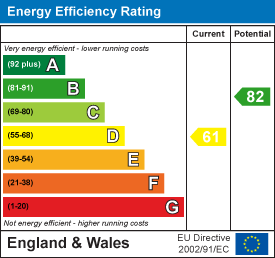 The services, systems and appliances listed in this specification have not been tested by Newton Fallowell and no guarantee as to their operating ability or their efficiency can be given. 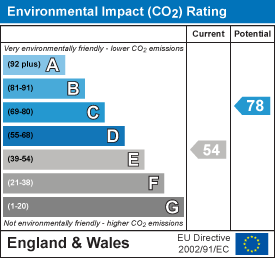 MEASUREMENTS: Please note that room sizes are quoted in metres to the nearest tenth of a metre measured from wall to wall. The imperial equivalent is included as an approximate guide for applicants not fully conversant with the metric system. Room measurements are included as a guide to room sizes and are not intended to be used when ordering carpets or flooring. TENURE: Freehold - with vacant possession on completion. 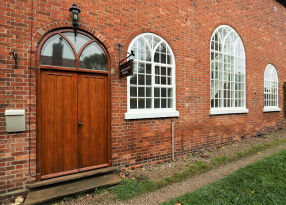 Newton Fallowell recommend that purchasers satisfy themselves as to the tenure of this property and we recommend they consult a legal representative such as a solicitor appointed in their purchase. Newton Fallowell Melbourne is a Franchise owned and operated under license by Karen Clarke Estates Limited trading as Newton Fallowell, Registered in England Number: 05555603 Registered Office: The Point, Granite Way, Mountsorrel, Leicestershire LE12 7TZ. Karen Clarke Estates Limited is a Franchisee of Newton Fallowell Limited and not a subsidiary or sister company.. Karen Clarke Estates Ltd is a Franchisee of Newton Fallowell Ltd and not a subsidiary or sister company. VAT registration number 866033031.